A soldier lies on the ground on the lookout for the terrain and any potential enemy soldiers that might arrive. He falls asleep but luckily is not discovered by his sergeant as it would mean his death. When he awakes, he sees a man standing on a ledge on a horse who is of the Confederacy. He contemplates to shoot the man but finds himself morally challenged. In the end, he shoots the horse and the man and horse leap off the ledge. An officer who happens to be in the forest under the ledge looks up and sees a man on a horse, seemingly running through the sky. It shocks him and he all but passes out. When he recovers he goes searching for the man but does not find man or horse. When he returns to camp, he says nothing. Meanwhile, a superior comes up to the soldier to ask what he's seen and the soldier tells him that he shot at a horse in order to kill the man. When asked to identify the man, he explains the man was his father and a Confederate soldier. The punchline is a bit powerful in large part because Bierce masks the soldier's hesitancy in his overall attitude or concerns about war. The side bit where the officer sees the "horseman in the sky" also seems a bit fitting in the sense that it was a send off of sorts. 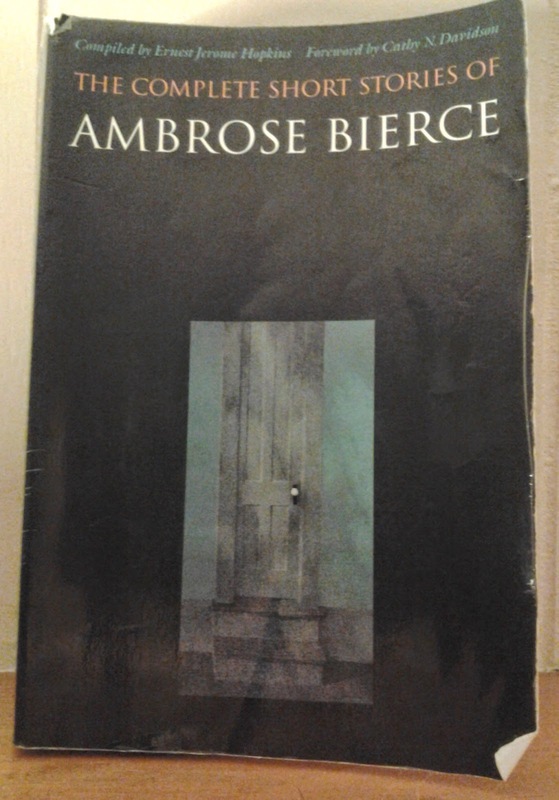 That the body and horse is never found is typical Bierce but not sure what purpose it serves entirely.